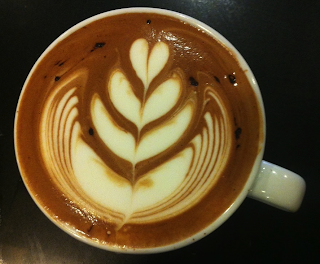 Blue State Coffee Latte Throwdowns: Round #50 - Winner! Nathan DeRuvo from Boston is now a three-peat winner for our monthly latte art contest! In a closely contested round with a record setting number of entries, Nate took the gold by a single vote.